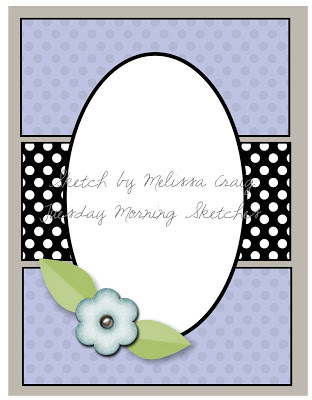 I have a quick short post this morning, I love this fabulous feminine paper and it made such a fun card. I used one of my go-to layouts, the sentiment is popped up with foam tape and finished with some twine to separate the different paper prints and finally some polymer dots. 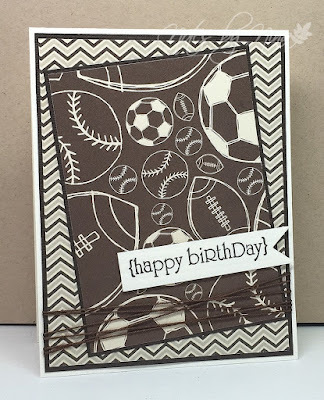 Supplies: White and black card stock, Designer Paper - Echo Park, Papertrey Ink - Birthday Bash, twine, dots. 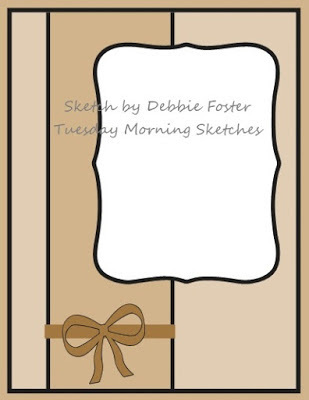 We have a new sketch for you for Tuesday Morning Sketches. We are sponsored our DT member Debbie this week and she'll be giving a $10 gift certificate to Doodle Pantry. 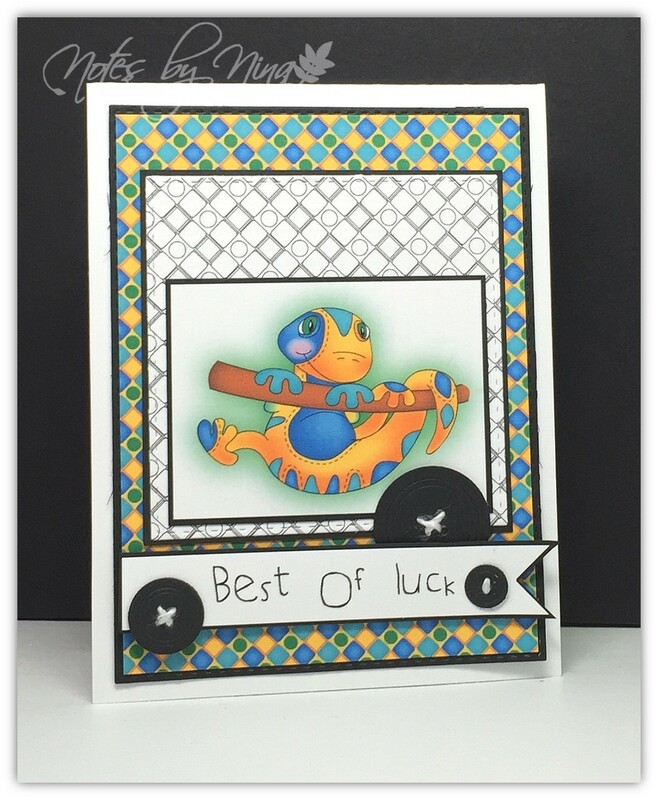 How could I not use a Doodle Pantry image for my card, and this little dude is adorable. 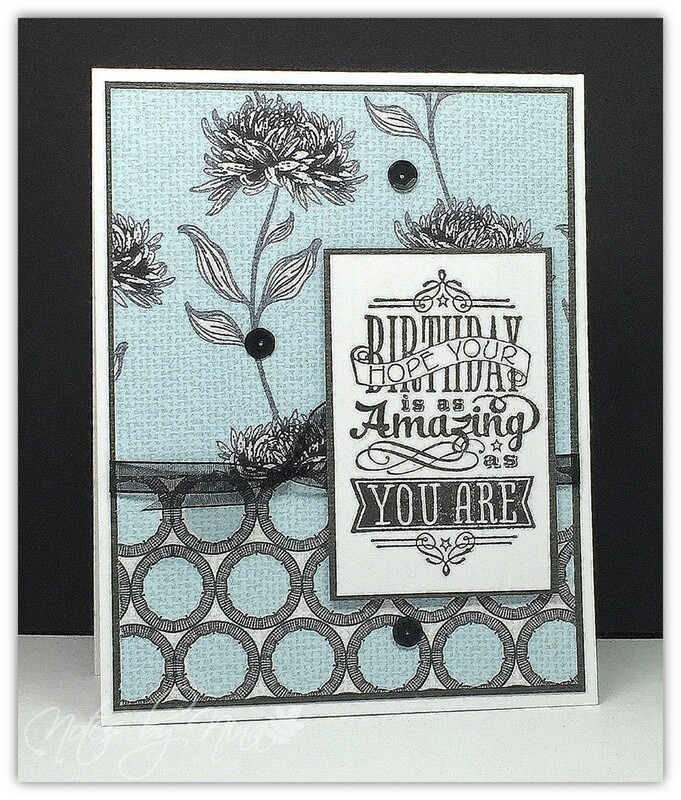 I love the layers with the sketch, I found this card so easy to put together, and I used die cut buttons for all extra elements. 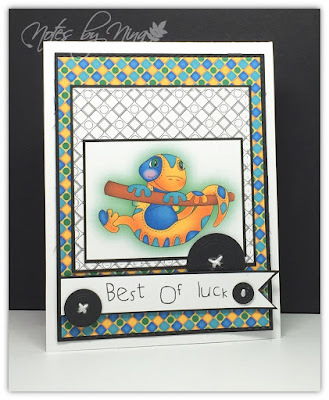 Supplies: White and black card stock, image, sentiment and papers - Doodle Pantry Quirky Lizard, misc die cuts, twine. 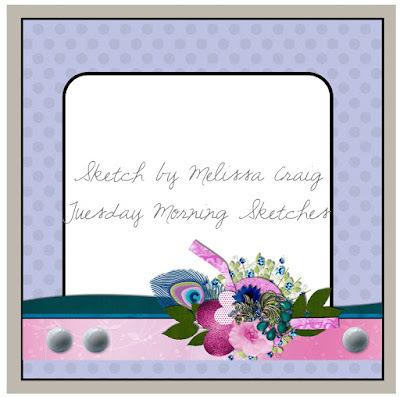 The design team has created some amazing cards, stop by the Tuesday Morning Sketches blog to take a look. Good Morning and Merry Monday, we have a new challenge for you today. Kristie is our hostess and she want us to Make a Christmas card using rainbow colours. This one took a bit of thought for me till DUH, light bulbs. I wanted a simple design so I heat embossed these little guys then coloured them with my at you Spica glitter markers. I was not going to bore you with the details about my stitched rectangles but.. I layered them and added some foam tape :). I finished with the sentiment. 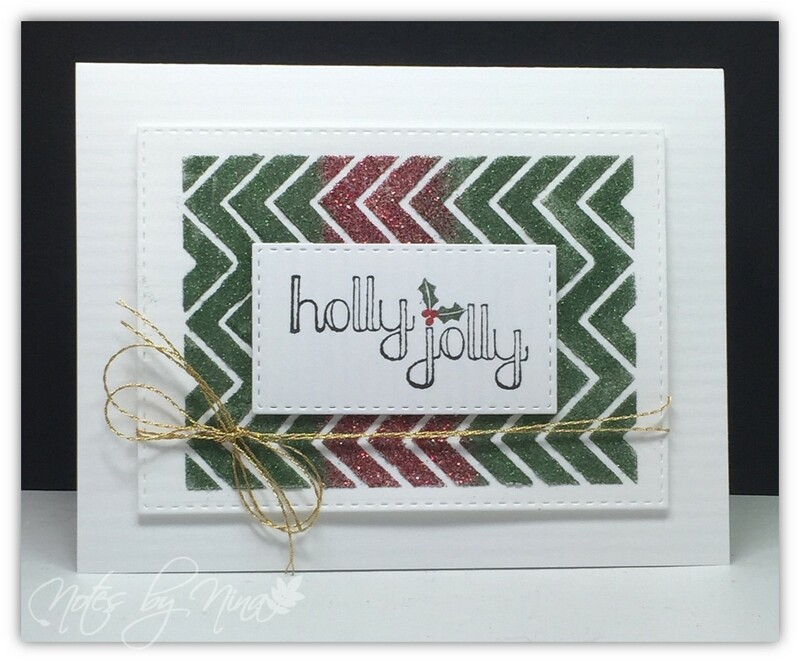 Supplies:Whiote card stock, The stamps of life - holly4christmas, Just Rite Christmas Inner Thoughts. Take a look at the challenge blog, the Merry Monday Design team has created some amazing cards for inspiration. 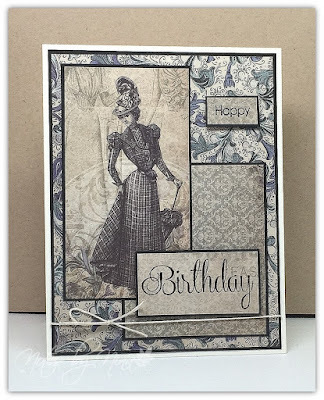 I used another quick layout for this card, why not when the papers are so fun. I popped up the sentiment with foam tape and finished with some dots. 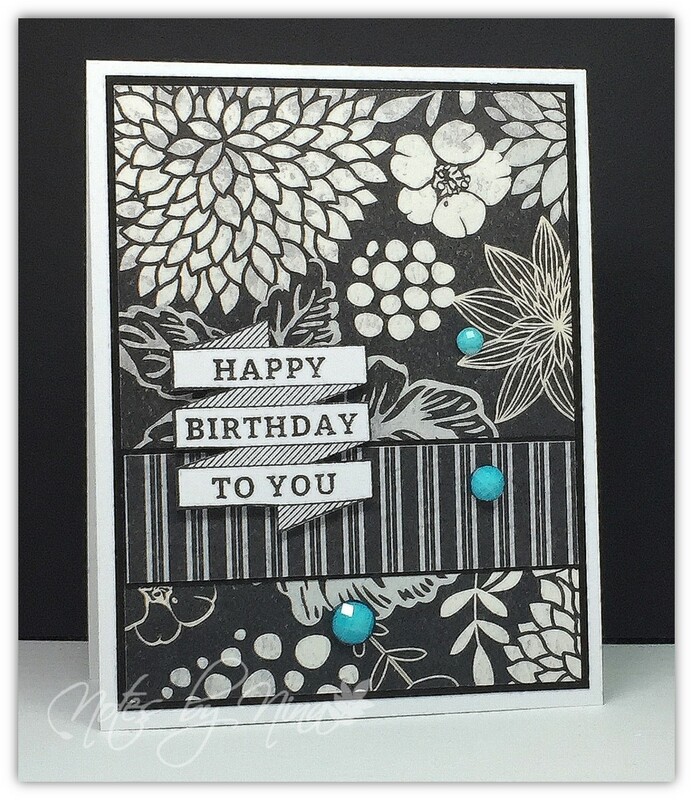 Supplies: White and black cardstock, Designer Paper Echo Park, Birthday Bash, die cuts, polymer dots. Happy first day of Autumn, I am loving the little squirrel the Google search page. You can feel fall in the air though I have started wearing a light coat when I head out to work in the morning. We had a long warm summer and I am ready for beautiful autumn colours and the ramp up to Thanksgiving and Halloween. 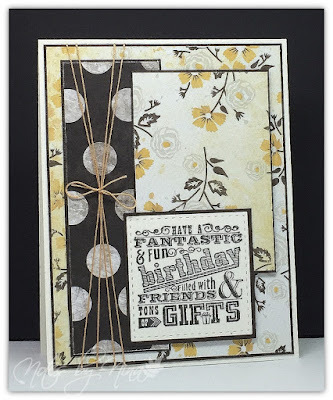 Supplies: Cream and brown card stock, Designer Paper, Papertrey Ink - Birthday Bash, twine. 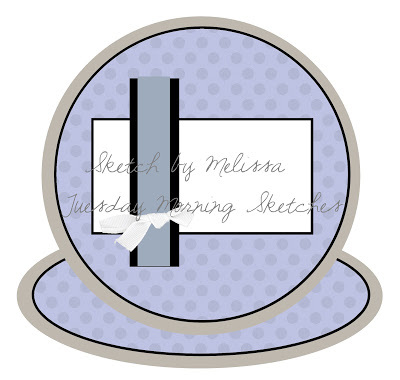 We have a new sketch for Tuesday Morning Sketches, our sponsor this week is Sami Stamps. I love this sketch, the design allows for it to be used over and over with a new look each time. I printed off this image on designer Paper and regular cardstock then fussy cut the design onto the flowers, I added some Wink of Stella and some gems. I finished with some twine and a small sentiment. 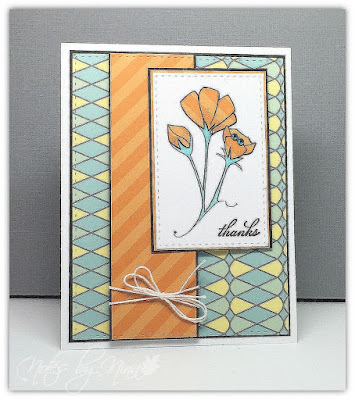 Supplies: White and gray card stock, Designer Paper - Kaiser Craft, Fiskars - Latte Love, Sami Stamps - Poppies Bunch, Simon Says - Stitched Rectangles, twine, gems. We have a new Merry Monday Christmas Card Challenge for you this morning. 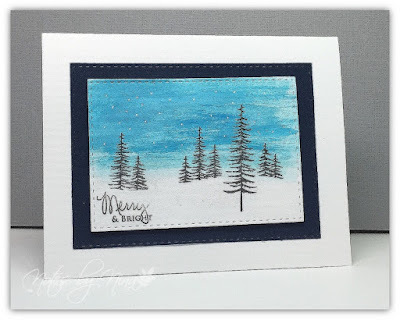 Katie wants us to Make a Christmas Card using watercolour. 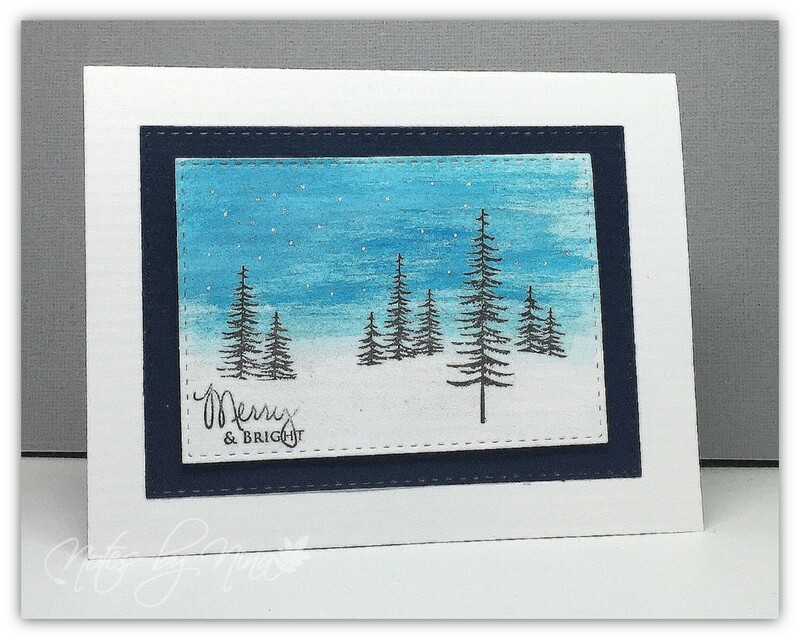 Supplies: White and navy card stock, Poppy Stamps - Trees, Papertrey Ink - Signature Christmas. Simon Say Stamps Rectangular stitched die cuts. Take a look at the challenge blog, the Merry Monday Design team has created some wonderful cards for inspiration. Stop by, play along and leave some comments. 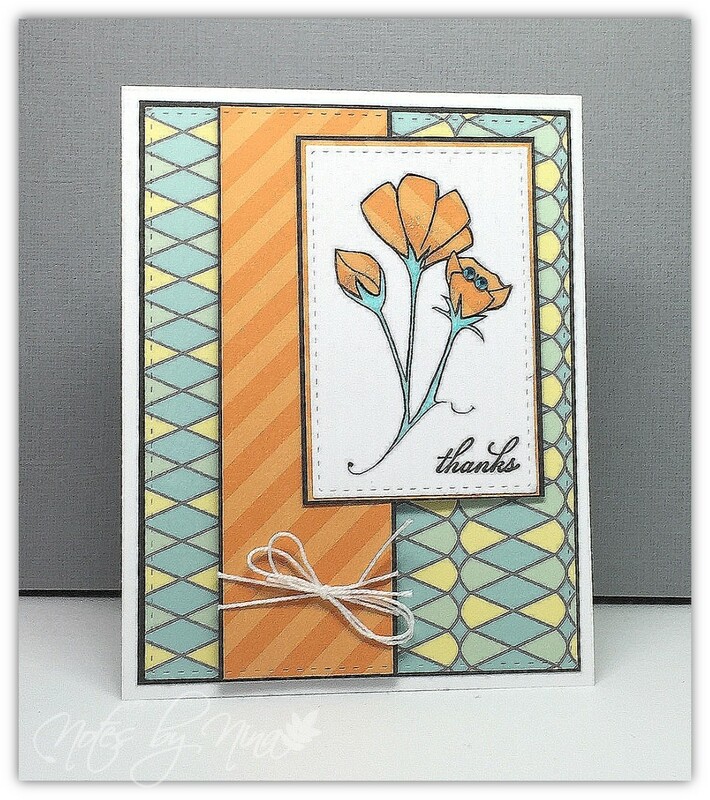 My husband's review of this card was not at all flattering, saying whoever received it would think Thanks for thinking I am vintage. I personally liked the earthy colours and beautiful image... we will see. 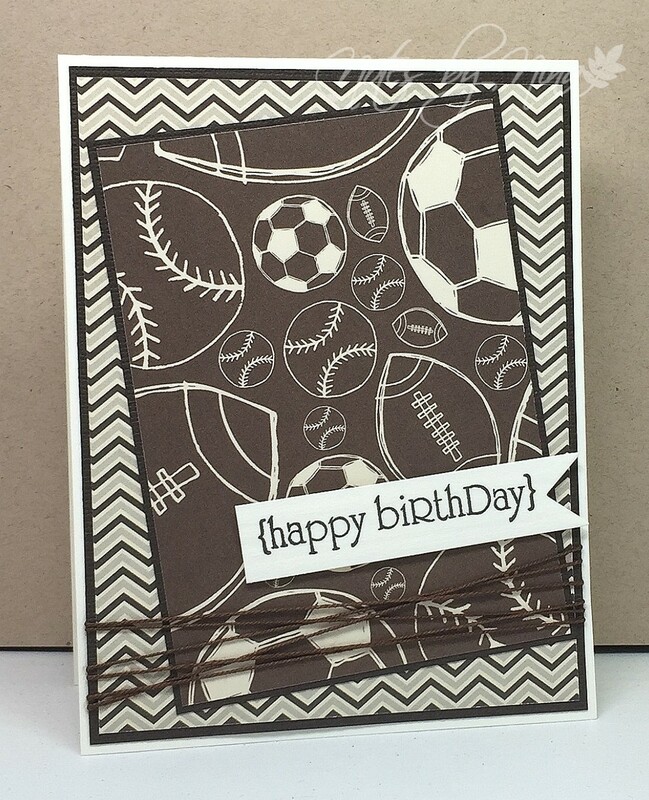 Supplies Cream and black card stock, Designer Paper - Authentique, twine. 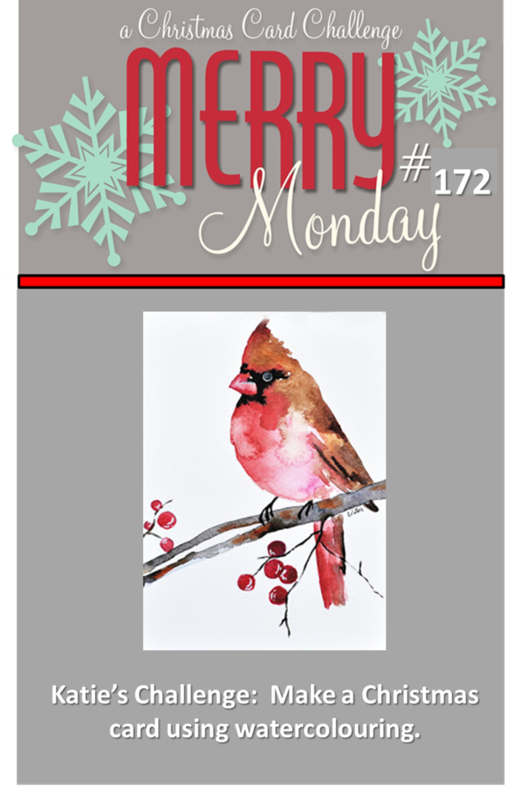 We have a new sketch for Tuesday Morning Sketches, our sponsor this week is Patti Rowe, CTMH Independent Demonstrator. Unfortunately I think this CTMH set may be retired but it is so pretty. I coloured the hate and fussy cut it out and popped it up with foam tape in place of the oval. I did the same with the little flowers. I finished with the sentiment and a few gems. 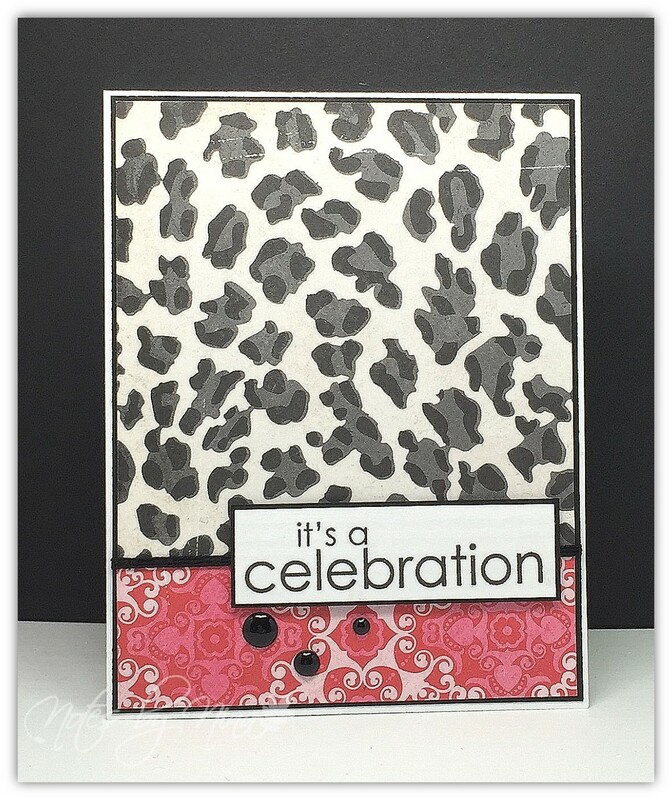 Supplies: White and grey cardstock, Designer Paper - Fancy Pants, Close to my Heart - Youthful Heart, Papertrey Ink - Birthday Bash, gems. The design team has created some fabuolous cards, stop by the Tuesday Morning Sketches blog to take a look and play along. We have a new Merry Monday Christmas Card Challenge this fine Monday Morning. 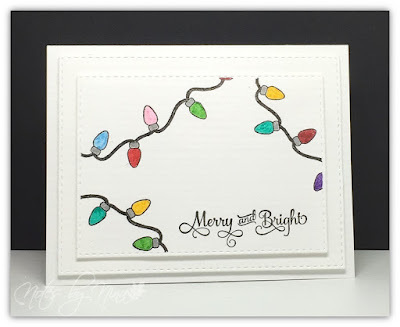 Kathy wants us to Make the sentiment the focal point on your Christmas Card. Sorry about the image, all that glitter messed with the camera. 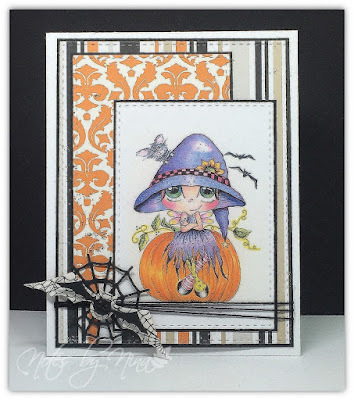 I used a stencil and embossing paste for the background, adding glitter. I stamped the sentiment and added a little colour to the holly. I finished with some gold twine. There is a little foam tape between layers to add dimension. 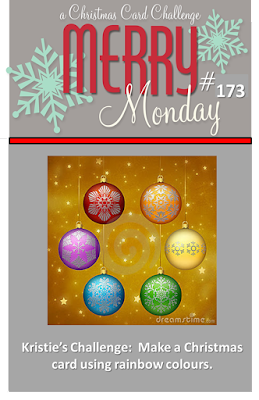 The Merry Monday Design team has posted some wonderful cards over on the challenge blog for inspiration. Stop by, play along and some comments. I could not resist playing along with this week's challenge for The Card Concept. It seems like forever since I have just played along with a challenge and although it has taken me a couple of day to actually post my card.. here I am :). My husband is back east visiting with his parents and I forgot to send a thank you card with him.. bad me. So I though I would have one ready that he can pop in the mail as soon as he returns. I went with a clean and simple design, even if the fussy cutting took me a little time. 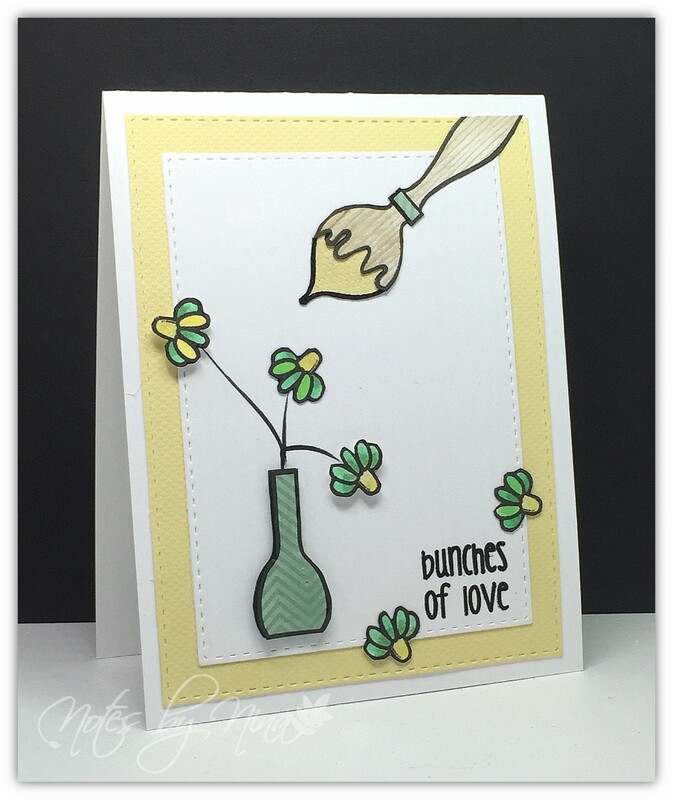 I stamped and pieced together the paint brush, vase and little daisies, adding a few layers here and there for a 3D look. I heat embossed the sentiment and added some Glossy Accents to the vase and matching piece on the brush. I used my Tombow markers for the flowers then added a touch of Wink of Stella for some shimmer. 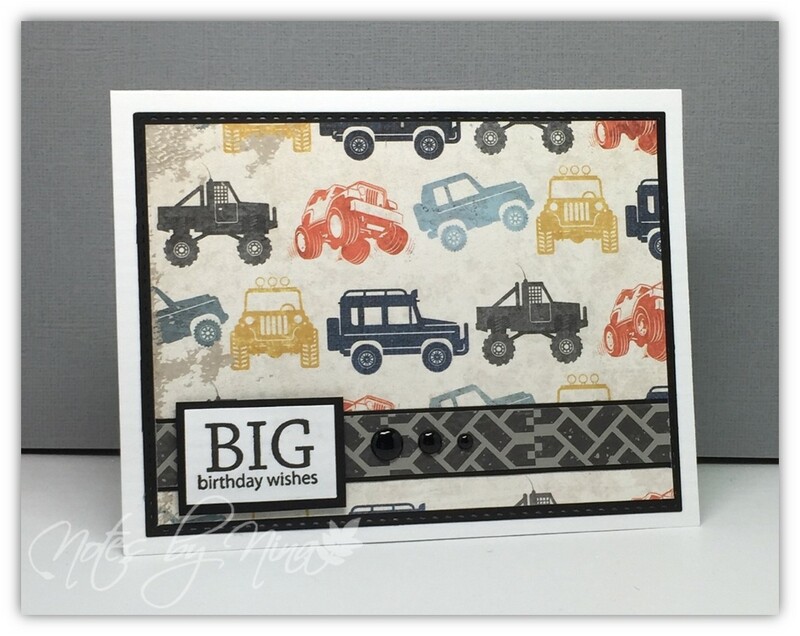 With all my fussy cutting and spots of foam tape I will say my style for this card is clean and layered. 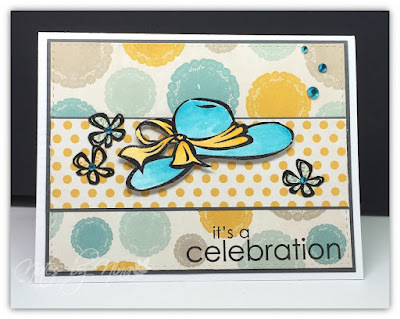 Supplies: White and yellow cardstock, Designer Paper-Authentique, The Alley Way Stamps - awesome blossom and true colors, Wink of Stella, Glossy Accents misc die cuts. 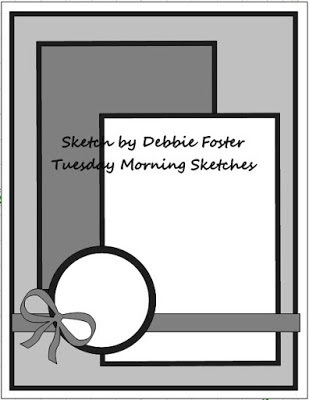 We have a new sketch for Tuesday Morning Sketches, our sponsor this week is Sherri Baldy Designs. Fall is in the air so why not start thinking Halloween, after all my pumpkins are all ripe :). I used this cute pre-coloured image. I love the layers with this sketch and I made good use of them. I used a spider web and some layers spiders for the corner element. 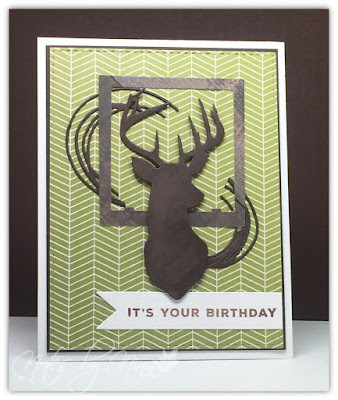 I think this is one of the quickest card I have ever created, my husband was literally running out the door to the airport and needed a fast card. I used a series or die cuts from different vendors, I added some foam tape to the buck and gave him a velvety look with an emery board. Supplies: White and brown card stock, Designer Paper - Echo Park, misc die cuts. I realized that the bold dots on the back side of this paper were a little big for me once I started to put together a card, so I used lots of layers to off set it. 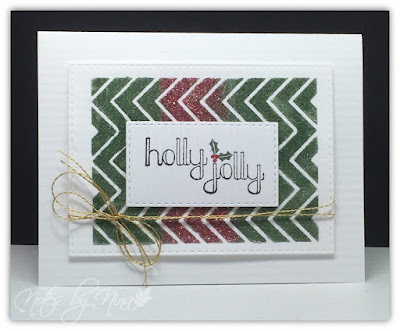 I popped up the sentiment with foam tape and used pretty twine that almost shimmers gold. 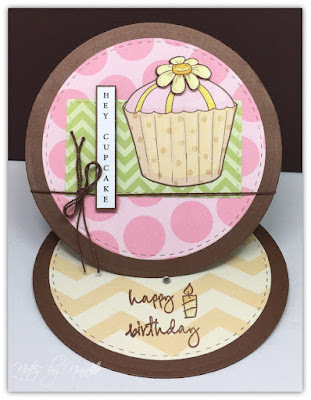 Supplies: Cream and brown card stock, Designer Paper-We R, Hot off the Press-Birthday Wishes, twine. September is off to a good start, we have a nice week of rain, wind and general fall-like weather but the sun is returning for the long weekend... for a wee bit. I love the cooler morning and the little bit of crispness we are starting to feel. I could do away with the shorter days, alas next summer will be here way to fast. 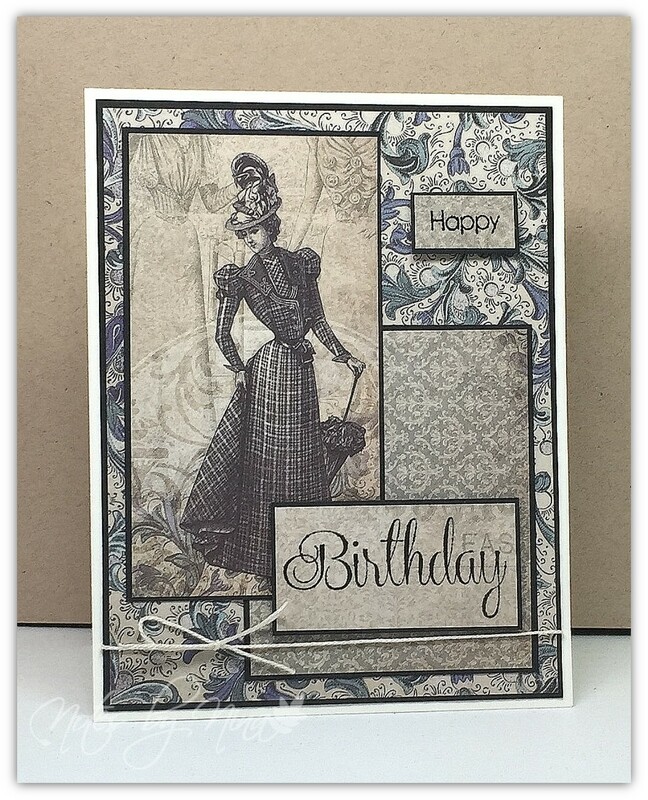 Isn't this paper stunning, I used one of my go to layouts and made use of the double sided designs. I used some sheer ribbon along the middle then popped the sentiment up with foam tape. My sister let me play with her new stamp set and I fell in love with the large sentiments. I finished with some black sequins. 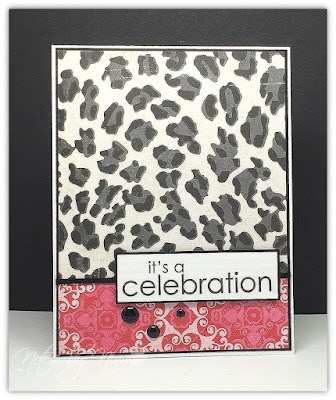 Supplies: White and black cardstock, Designer Paper -Fabscraps , Hot off the Press, ribbon, sequins. When I was touring the craft stores in Kelown with my sister, I found some beautiful papers, I could almost picture a few monochrome cards in my head as I looked at this one. I used another simple layout, I fussy cut the sentiment and finished with these stunning gems. If anyone can identify the maker of these gems please let me know, I think the package had red, brown and green gems as well. They are made almost like a bug eye with all the little edges and almost vintage look. I love the pretty colours but I snagged these ones from my sisters stash and they did not have a tag or outside package. 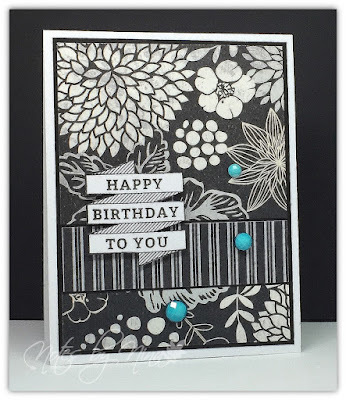 Supplies: White and Black cardstock, Designer Paper - Authentique, Jillibean Soup - Birthday , gems. Happy first of September, we have a new sketch for Tuesday Morning Sketches, our sponsor this week is SLS Lines. I totally made a mess of this easel card, it has been so long since I tried one that it was just not working for me. In the end I used a brad at the back to hold it all together. I used my die cuts for all the circles, I fussy cut the cupcake and double layered the little daisy. I popped it up with foam tape and added a little Wink of Stella and Glossy Accents to give it some glamour. Hey Cupcake is also layered with foam tape and I finished with some twine, a gem and a simply stamped Happy Birthday. 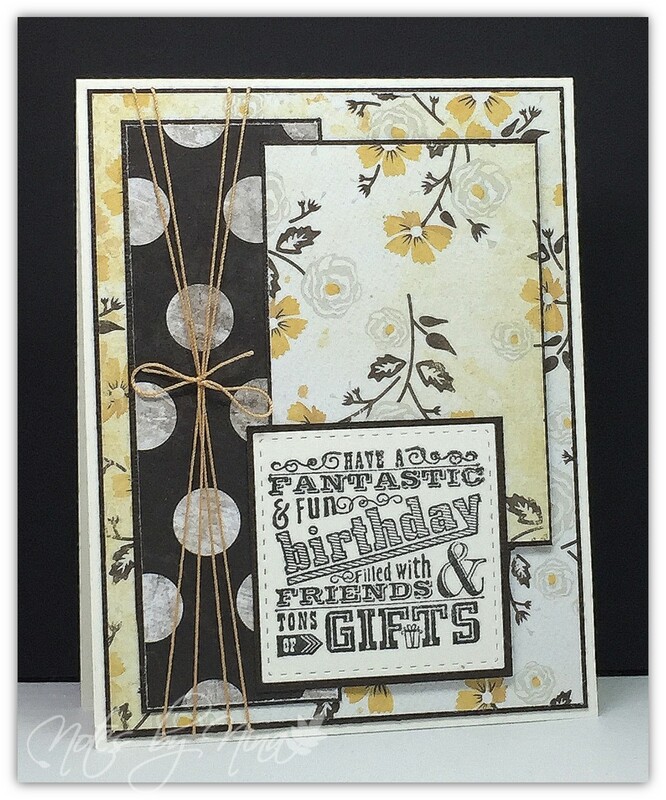 Supplies: White and brown card stock, Designer Paper and image - SLS Lines, Stampendous - Everything Happy, gem, twine, brad.